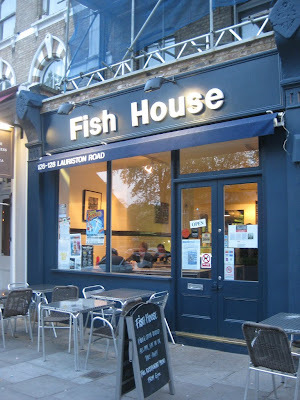 Your author is sometimes sceptical about posh chippies, but Fish House, on Lauriston Road in Hackney, passes the test. It is a family run, independent fish and chip restaurant and takeaway which doesn't fall into the trap of making things too fussy. They just have good, honest, seasonal, fresh fish, all of which adheres to the Marine Conservation Society good fish guide, and is, we are told, eco friendly. Opened by Gabriel Early and Johanna Nylander in June 2007, the shop focusses on being a good, family friendly, eatery, for people who use or live near Victoria Park. In your author's experience this manages not to mean loads of shouty children, but he should mention he has only ever had takeaway. It's good value, with a bag of chips to take away a budget-friendly £1.50, and it's tasty. Early and Nylander have been working together running various businesses in and around Victoria Park for 10 years, and in 2006 they appeared in the Egon Ronays guide for their work at The Approach Tavern. 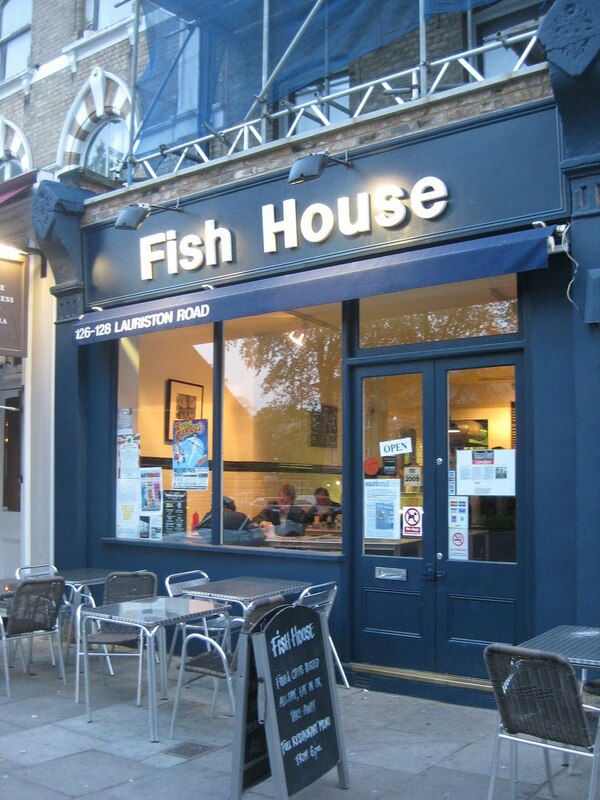 Fish House is certainly a good addition to an already solid CV.